In the full swing of spring and with summer just around the corner, the diary of the discerning gent is no doubt filling up with appointments here and weekend breaks there. When the situation calls for dapper weekend luggage don’t default to using your gym bag to pack away the slick styling intended for that dash out of town. 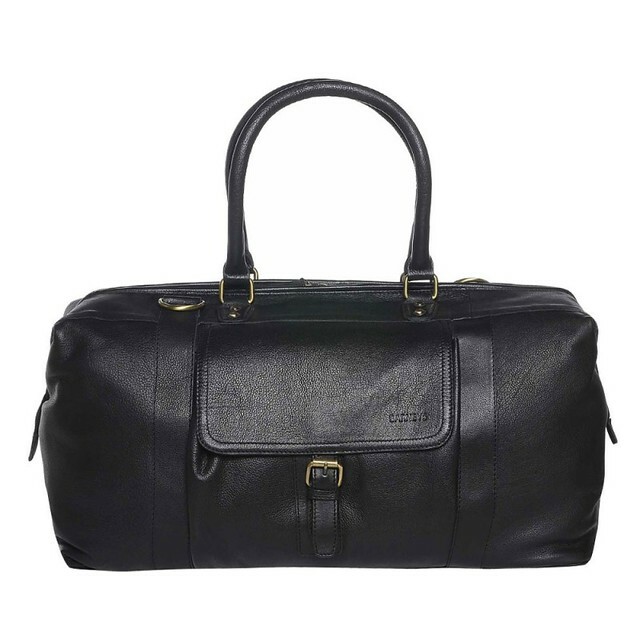 No, you need a weekend bag fit for the purpose like Barneys black leather holdall to epitomise the discerning gent ways about you. The first thing you’ll notice about this holdall is the sleek luxurious black leather it’s crafted with – beaming with masculine prowess. Despite the all-leather craftsmanship of this bag, it’s deceptively light so it won’t slow you down whilst on the move. 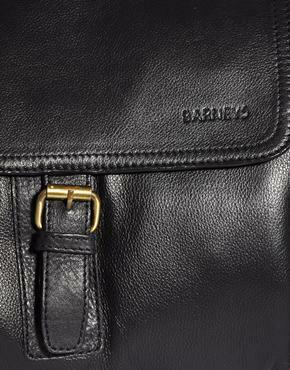 The embossed Barneys logo is both welcomed and inconspicuous at the same time – the sign of quality there but not in any overt way at all. 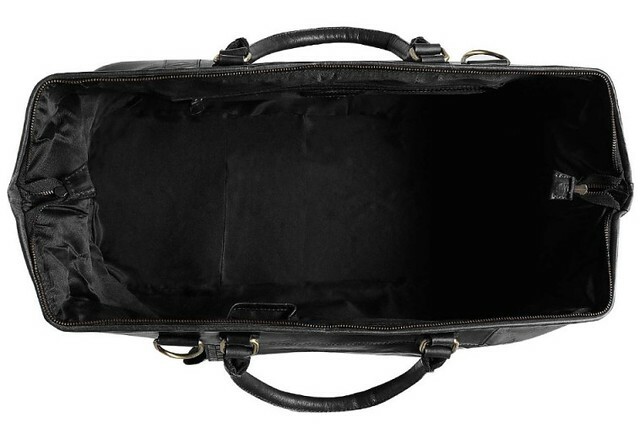 The real feature of this holdall is the inside, tardis-like with its vast interior kept from the eyes of those outside. Opening up fully for ease-of-access, something your gym holdall lacks, there’s plenty of space to accommodate shirts, trousers, jeans, shoes, toiletries and probably a well-folded blazer if you really need to pack it away. Highly recommended for the discerning gent around and about towns this summer.